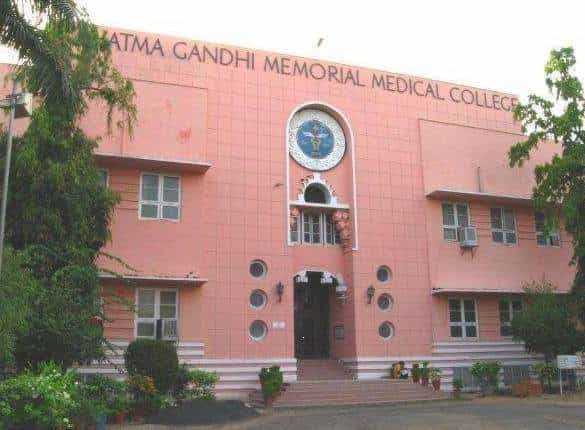 MGM Medical College Indore was established in the year 1948. The residency surgeons along with the European and the native troops in the region helped to establish this institution. The Institute became famous in short time. Also, the construction of a building for female patients took place by Dr. Impey. Another name of this college is MGMMC, Indore. In the state, it is the oldest college. The college is also very prestigious for the state. The college has a rich and glorious heritage. The actual establishment of this college was in the year 1878 in the name of King Edward Medical School. The conversion to the present medical school was in the year 1948. Moreover, its present intake is 140 undergraduates along with 117 postgraduates. Additionally, the college has the best types of equipment for Dentistry, Nursing, etc. Further, the college has a hospital of seven stories with 930 beds. Importantly, this hospital provides service 24×7. Also, there are other units of the college providing 24/7 services around Indore. Approximately, there are 1500 staff, of which 240 are teaching faculty. The college also has a modern blood bank. The campus is well maintained and self-sufficient. Lastly, the alumni of this college are spread all over the world and contributing best to the humanity. For the MGM Medical College Admissions, the student has to first register themselves for NEET counseling. This will help the student to get the admission in this college. First, the candidate must register on the official website of NEET. The student has to choose the course and lock it on the website. According to the available vacancies and candidates choices, the seat allotment will be published online. The candidates must report to the college for the first round and complete the admission formalities. The student could repeat these steps for other rounds of counseling. The campus has one of the best hospitals. It has regular OPS which provides services from Monday to Saturday. However, it provides round the clock service for emergencies. Moreover, it has various specialty clinics like hearing disabled rehabilitation, vertigo clinic, proptosis clinic, etc. Also, it has an audiological section with soundproof rooms. Regular assessment for speech therapy is done. Apart from that, it has 8 beds in the MICU facility. It provides non-invasive cardiology services. Along with that, there is ICCU service with 8 beds available. Also, it provides electroconvulsive therapy. The college has a separate building for the library. It is very spacious and provides books for reference to the students. It also provides e-books and e-journals to the students. Along with medical books, the library also has non-medical books. There are well trained and experienced staff in the library. The college has a modern gym. It has all the modern types of equipment. The college believes in both physical and intellectual fitness. The hostel has well-furnished room along with washroom. The food is very hygienic and healthy. The college provides separate hostels for boys and girls. I allow neet2019.net to contact me with suitable college and exam updates.